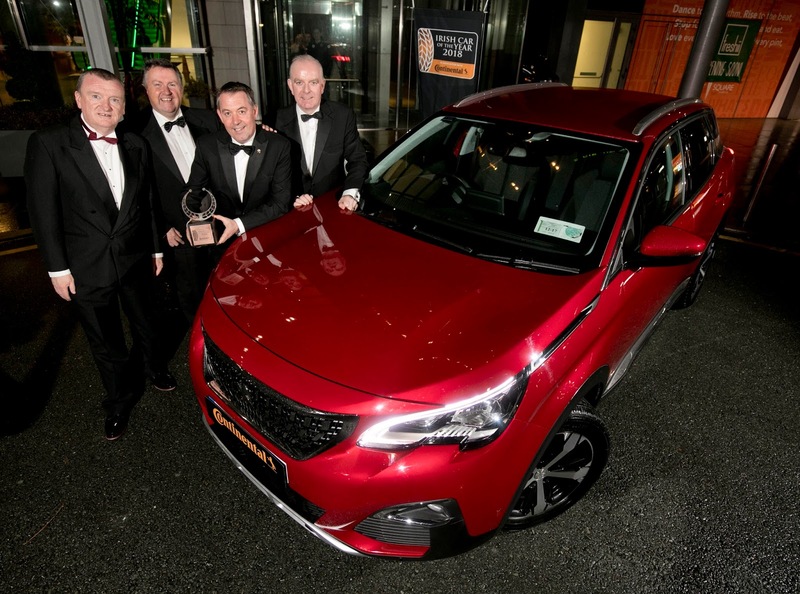 David Walshe and Michael Sheridan of the Irish Car of the Year Committee, Des Cannon, Managing Director Gowan Distributors Ltd-Peugeot Ireland and Tom Dennigan, Continental Tyres. The Peugeot 3008 has been announced as the 2018 Irish Car of the Year in association with Continental Tyres, writes Brian Byrne. The awards were announced tonight at a function in Dublin. Jurors from the Irish Motoring Writers Association and the Association of Professional Motoring Press chose the winners from an original field of 63 cars. The Peugeot team at the awards event in the Gibson Hotel are celebrating above. The Kia Picanto is the winner of the Irish City Car of the Year category. The Nissan Micra is the Irish Small Car of the Year. The Honda Civic is the Irish Compact Car of the Year. Honda also won the new Innovation Award for the Honda Sensing suite of safety features on the Civic. The Alfa Romeo Giulia is the Irish Medium Car of the Year. 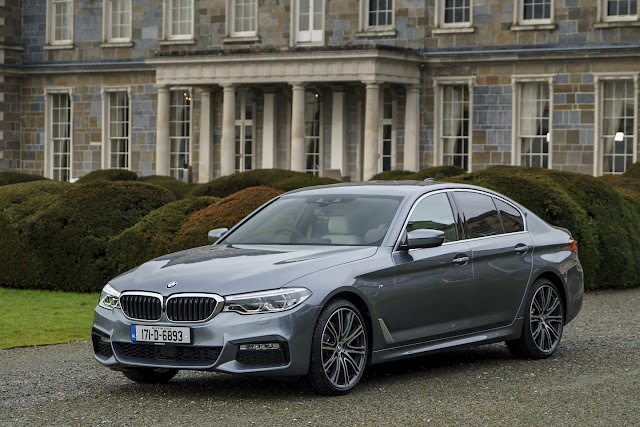 The BMW 5 Series is the Irish Executive/Premium Car of the Year. The Peugeot 3008 is the Irish Compact Crossover of the Year. The Skoda Kodiaq is the Irish Large Crossover of the Year. The Toyota Prius PHEV is the Irish Green Car of the Year. 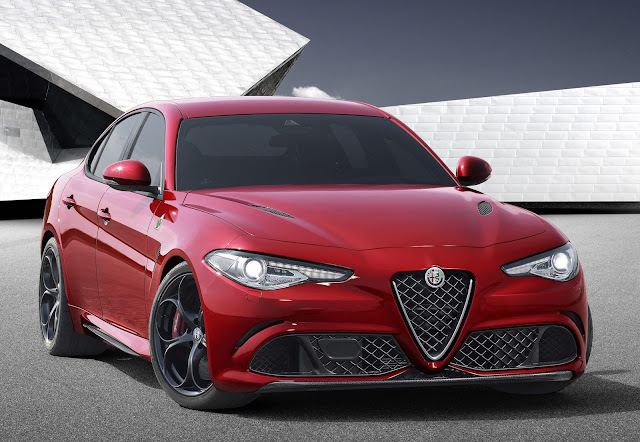 The Alfa Romeo Giulia Quadrifoglio is the Irish Performance Car of the Year.